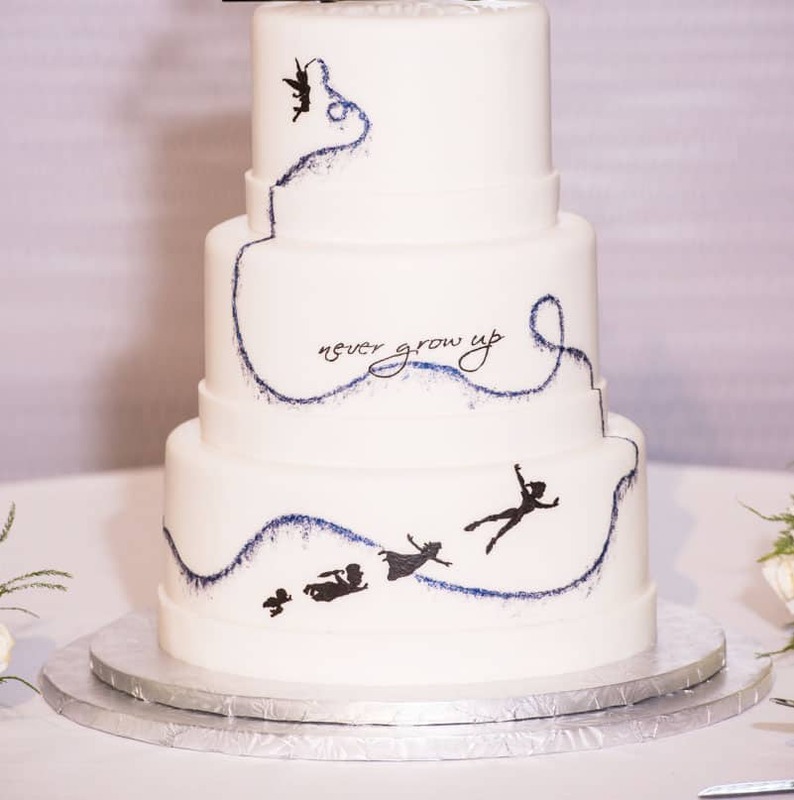 Wedding Cake Wednesday: You Can Fly! 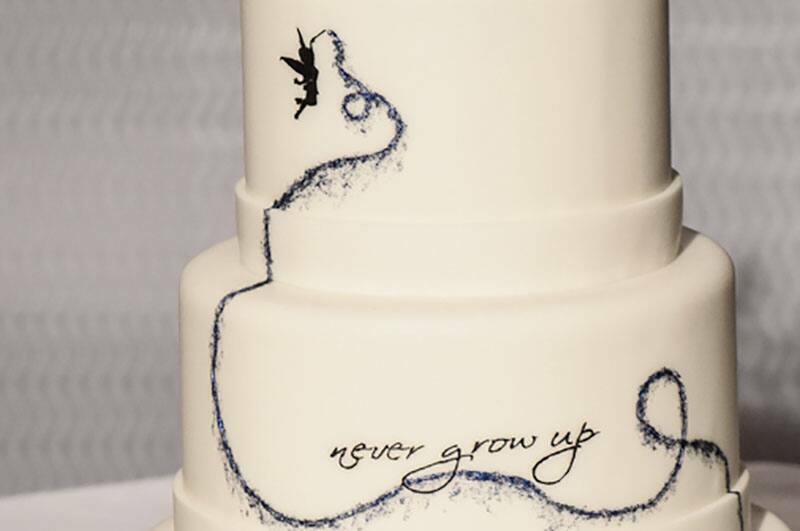 Soar with Peter Pan and the Darling children across this three tier wedding cake! 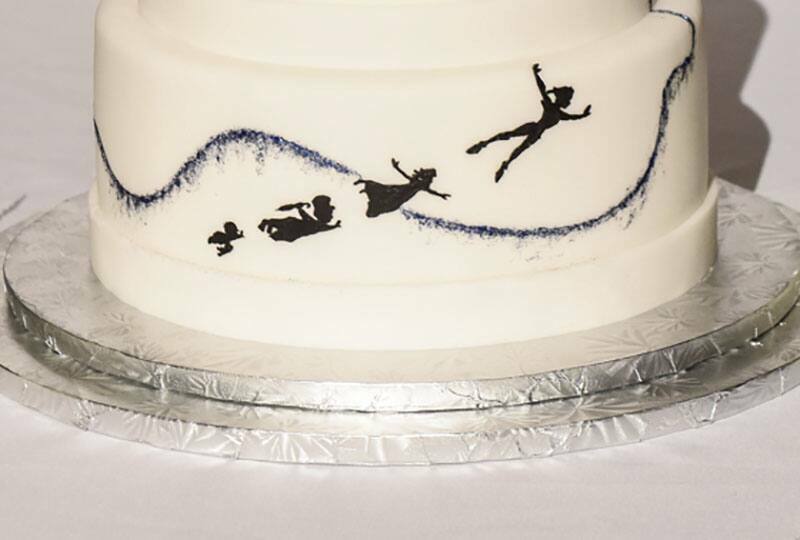 Tinkerbell leads the way with a pathway of sparkling pixie dust, and each of these classic characters is seen in silhouette. Just think of a wonderful thought and feel like you're transported to Neverland where you'll never have to grow up.